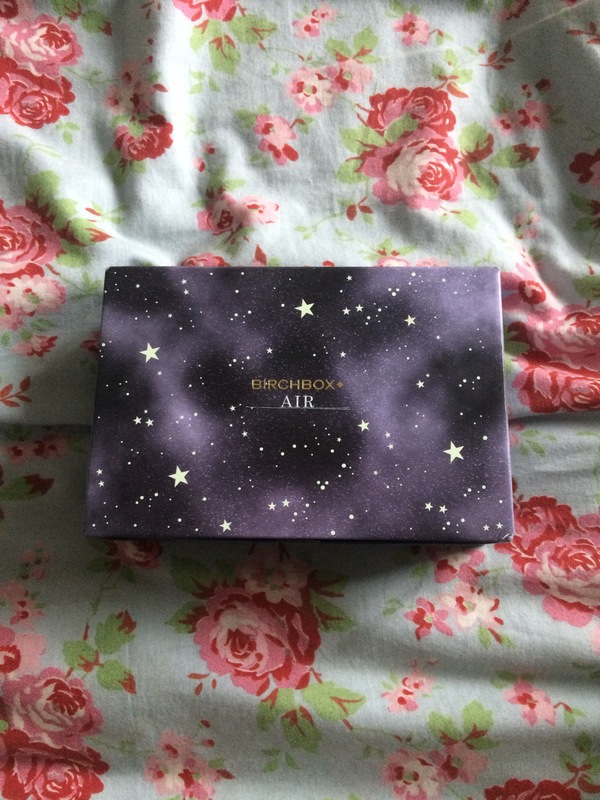 So this months BirchBox is separated into 4 different elements; Earth, Air, Fire and Water. Depending on your birthday that you enter on your profile, depended on what box you got! I’m a Gemini, so I fall into the element Air, which is one of the prettiest boxes! I’ve never tried a crayon lipstick before so this was a really exciting find! I’ve worn it only a few times and I love it, although the colour is a little bit dark for my skin tone and you do have to be careful not to try and be too heavy on the rest of your makeup but all in all I do like this product a lot and will definitely go out and investigate other matte crayon lipsticks! Another ‘first time try’ for me is a vitamin c serum! I can’t say I’ve seen a MAJOR difference when I’ve been using it but it’s something I will use until the last drop runs dry just to see if it does do something, or maybe it doesn’t do anything yet but my skin will thank me for it later in life! Possibly the only product out of the two boxes I’ve received which I feel a little bit dissapointed by, saying that, I’ve never been one to use any sort of ‘refreshing mist’, but for me it’s no different to splashing my face with cold water, apart from it’s a little more convienent but sadly, I wouldn’t pay £16 for that convience! Again, this is another product that I haven’t really used that much but something I’m really into right now is skin care so it will get used but I’ve just had so many other products to get through this month! With the smell of rice milk and cherry blossom it smells so good! The packaging is also very cute and simple, which I’m loving right now. But to properly give this product a good review, I may need to use it a few more times! It’s been a month of trying new things and I’ve loved every second of it! Hair oils have never really interested me but honestly, I have seen a difference when using this on wet hair and leaving it to dry naturally. It looks healthier and just more sleek. I haven’t yet used it on dry hair yet because my hair can get really oily, really quickly but that will be my next adventure with this! I’m not 100% sure what to think about using a breakfast shake because I’m not massive on eating breakfast already so maybe giving this a try would be good but I can’t imagine paying £50+ for breakfast shakes when I can make smoothies for a lot less and still get in the proteins, greens, fruits and vegetables I need and this product claims to have! Saying that, I haven’t tried this yet so maybe it’s delicious and worth the £50!